Generations of Jewish Bible commentators, as well as Rabbinic midrash, have addressed this riddle either explicitly or implicitly. On a purely literary level, Jacob’s act of deceit will certainly haunt him for the better part of his life. 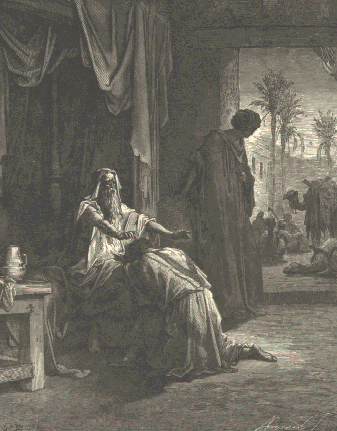 Nechama Leibowitz and others* have noted the ways in which Jacob’s treachery is reflected back upon him by Laban when he gives Leah to Jacob as a wife instead of his beloved Rachel. Jacob howls, in a way that evokes both Isaac and Esau simultaneously, “why have you deceived me?” Laban answers in a manner that can be interpreted as carrying a strong note of irony, “it is not the practice in our place to give the younger before the older” (29:26). In another curious episode, Jacob’s wife Rachel “sells” a night with Jacob to Leah in exchange for some mandrakes she desires. This too recalls another unreasonable bargain, when Jacob buys the birthright from Esau for a bowl of pottage. Most poignantly, the suffering Jacob endures after the loss of his precious son Joseph at the hands of his envious brothers again recalls Jacob’s own actions in knocking his older brother Esau off of his perch as Isaac’s favorite son. In both cases, the skin of a dead animal is used to cement this deception. All of the narratives surrounding Jacob seem to illustrate the principle of “measure for measure” or “midah k’neged midah.” Jacob’s original deception reverberates through the trials and tribulations he endures throughout the book of Genesis. As Rabbi Samet explains, while Jacob will experience the negative repercussions of this act of betrayal for the rest of his adult life, this does not mean that he should not have gone through with it. Parshat Toldot and the ensuing chapters present a particularly complicated moral quandary for us as readers and within the Jewish tradition. Most contemporary readings that I have come across seem to weigh down on one side or the other of the debate: Jacob has either committed an ethical breach or he has not. However, I am more interested in the way in which the Bible, as a meticulously crafted work of literature, manages to suspend both alternative interpretations of Jacob’s actions almost simultaneously. Perhaps it takes a literary perspective to unlock this particular aspect of the Bible’s artistry, and in pursuit of this perspective I’d like to take a look at at the contemporary novel All Other Nights by Dara Horn. All Other Nights is a work of historical fiction that depicts the experience of Jews during the Civil War on both sides of the Union/Confederate divide. The hero of the novel is Jacob Rappaport, a fictional soldier from New York who is asked to draw on his extensive Jewish family and business network in the South in order to carry out a set of morally questionable initiatives on behalf of the Union. Throughout the book, Rappaport struggles with the tension between his fealty to the Union, which emerges from strong moral convictions but is not solely based on these convictions, and his commitment to both the Jewish community and to individuals he feels close to and loves. The book is not pitched as Bible commentary. Horn’s more recent novel, The Guide for the Perplexed, engages with the book of Genesis in a much more explicit manner. Yet, by invoking the Biblical Jacob in order to shed light on Jacob Rappaport’s own conflicts, Horn also reflects back on the Biblical text and reminds us what a work of literature can do that unambiguous moral pronouncements cannot. Rappaport engages in acts of treachery on behalf of a just cause, and Horn explores the various ramifications of these acts in a lucid and nuanced manner. Like many readers of Parshat Toldot, Horn does question whether it was wholly necessary for Jacob Rappaport to betray his kin in the manner that he does. 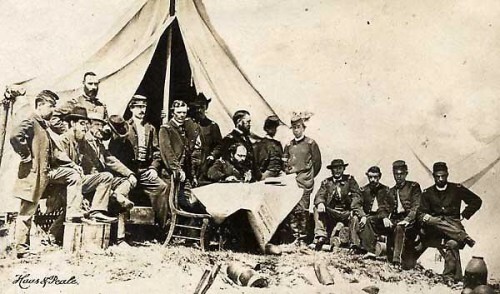 For example, when Rappaport is asked to assassinate his uncle, who seems to be engaging in a blustery plot against Abraham Lincoln that is unlikely to achieve fruition, Rappaport considers whether a conflict of destinies is always as straightforward as it seems, particularly when it manifests itself internally among Jews. Horn’s acute moral sensitivity, however, prevents the novel from devolving into a flat anti-war tract. While it’s likely that Rappaport could have eschewed certain ethically problematic behaviors and still achieved his goals, the larger conflict between the North and South was one that needed to be waged for the purpose of abolishing slavery and for the future of the American nation. The medium of the novel allows us to recognize both of these truths at once. For Sternberg, the artistic virtuosity of the Bible lies precisely in its ability to honestly entertain contradictions and ambiguity, without fundamentally compromising its ideological vision. The fact that Sternberg likens the ideological worldview of the Bible to shackles is somewhat problematic, as one could also see Biblical ideology as enabling, rather than merely failing to inhibit, its dancing. Regardless, Sternberg offers us a useful framework for considering contradictions in the Bible. Rather than choose between compelling alternatives, we can view the “dance” or play between these messages, in the service of a larger ideology, to be an intentional part of the work of the Bible. Jacob’s flaws may be manifold, but they don’t prevent him from standing on the side of destiny. *In my own understanding of these chapters I am indebted to Rabbi Shmuel Klitsner, with whom I studied the Jacob narratives at Midreshet Lindenbaum in Jerusalem thirteen years ago. He has since written an excellent book on this topic entitled Wrestling Jacob, which is required reading for anyone seriously interested in this subject. Why don’t you have a printer-friendly version? Actually, I now included an even better “Print & PDF” option. Thanks for the idea!